Round table with a diameter of 48". Seats 6 comfortably. 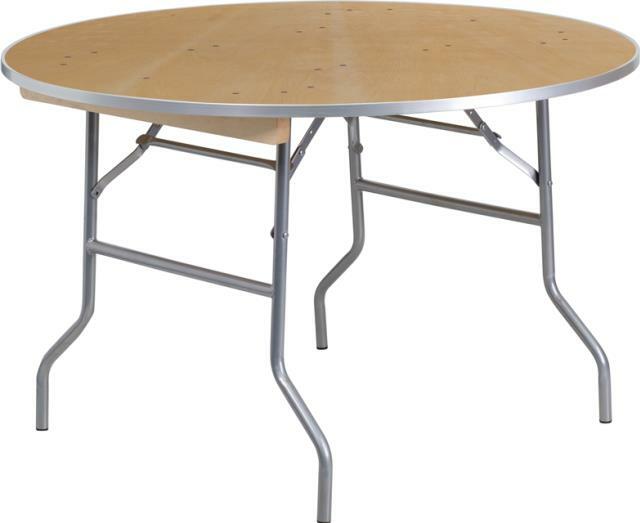 Best for formal dinner seating, cake tables, sweetheart tables, food stations, and more!